MAKE A BIG MARKETING STATEMENT! 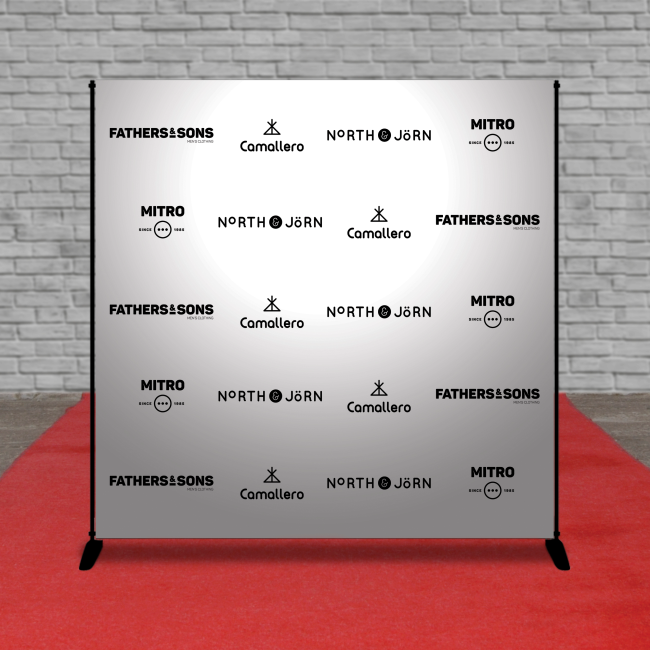 Backdrop, Step and Repeat Banners are commonly used in parties such as weddings, birthdays, graduations, school dances, and other red carpet events. These custom banners can also be used to promote your brand during photo ops at trade shows and conferences. 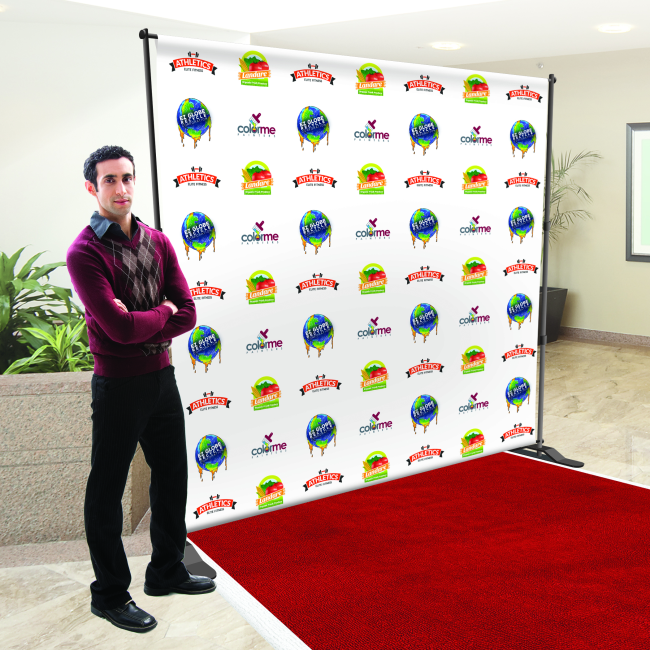 Display brand messaging, in a flash with 13oz Scrim Vinyl with Telescopic Backdrop Banner Stands! 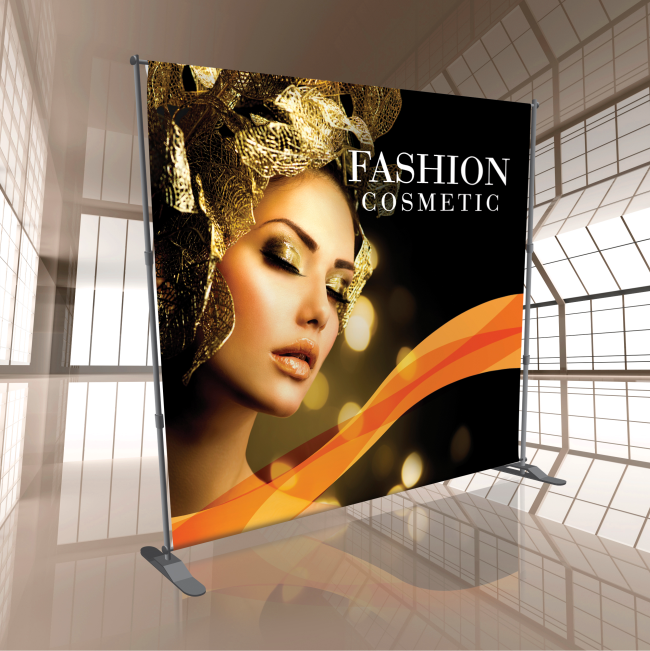 Portable and easy to set up, these durable and waterproof banners are ideal for use both indoors and out. Includes portable carrying case to conveniently store the stand’s parts and travel with ease.